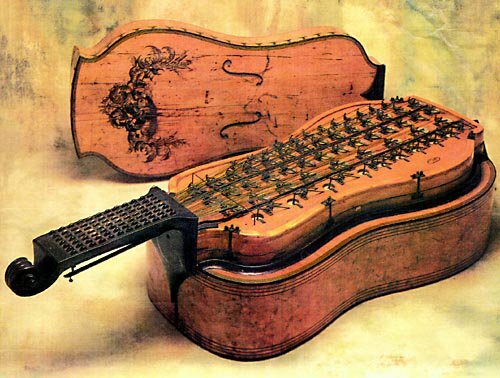 Melophone: what you get when you cross an accordion with a cello? I just stumbled on an entirely new to me, and yet very old, relative of the accordion! The Melophone. Invented in the 1830’s, just like most of the early accordions and concertinas, the melophone’s creators went beyond the fancy decorations of the many early free-reeds. They decided the whole thing should look like a big stringed instrument. It had a handle you pumped like a plunger at the bottom, and a keyboard of very strange and intriguing looking buttons (rollers?) where the fret-board would be. One report said it was pretty easy for a string-player to pick up. None of this piano-keyboard stuff. Under a removable lid was what looks like a circuit-board of wires connected to valves that let air through to reeds mounted inside the body. Hidden beneath that is the bellows, pumped by a plunger from the bottom. This is the lovely Melophone at the NY Metropolitan Museum of Art. 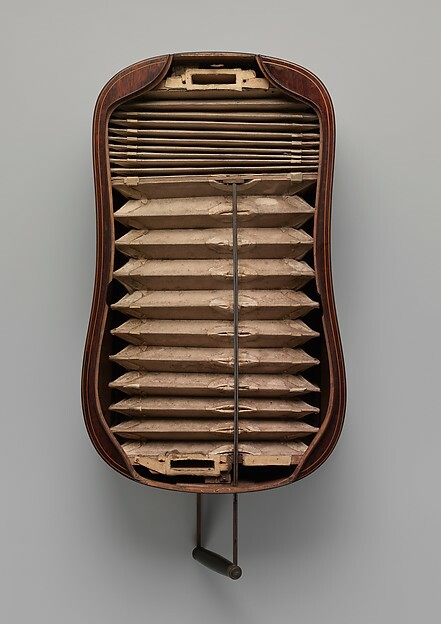 The bellows push air through a single set of reeds, making it more like a harmonium than the push-pull accordion that needed “in” and “out” sets of reeds. The whole thing looks ridiculously complicated, but have you ever looked inside a modern accordion? Times haven’t simplified the instrument much, but they don’t make them like this any more. Fantastic. See also the similar Cecilium instrument, shaped more like a rounded lute, and played with a lever attached to a stick across the front like a bow. 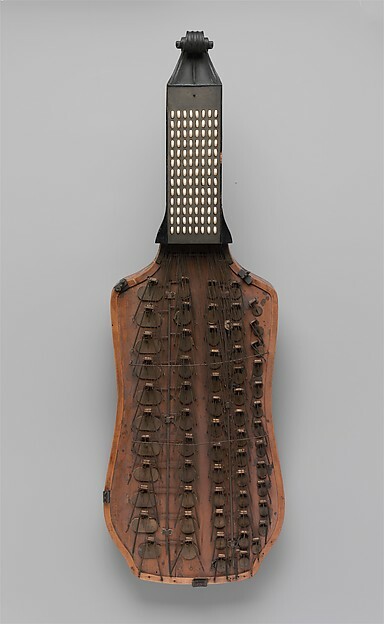 Added a whole post on the charming Celilium, a lute shaped version of the melophone.